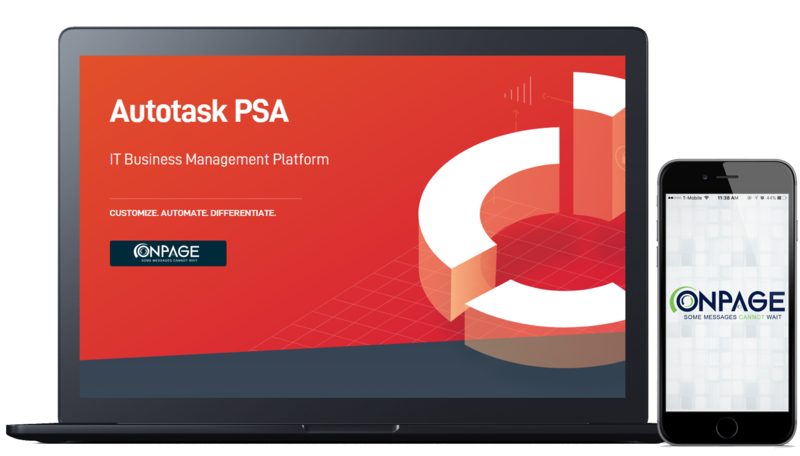 OnPage, the industry’s leading incident alert management system is now seamlessly integrated into Datto’s Autotask PSA, a leading IT business management platform that streamlines ticketing and service desk management. The integration complements Autotask’s ticketing capabilities by converting service tickets into intelligent alerts under one unified and integrated platform. Autotask’s powerful API enables seamless access to OnPage. Alert management is now possible within the interface, allowing MSP teams to send out alerts and create workflows for notifications to be sent automatically based on customizable incident and ticket criteria. This revolutionizes ticketing by decreasing manual transcription errors, ensuring that alert processes are followed consistently and reducing the time between when a ticket is created and when the MSP team responds. MSPs can program alert escalation so that if the first team member on the alert list does not respond to the loud OnPage alert on their smartphone app within the designated time frame, the alert escalates to the next team member, ensuring that alerts get a quick response and are not missed. 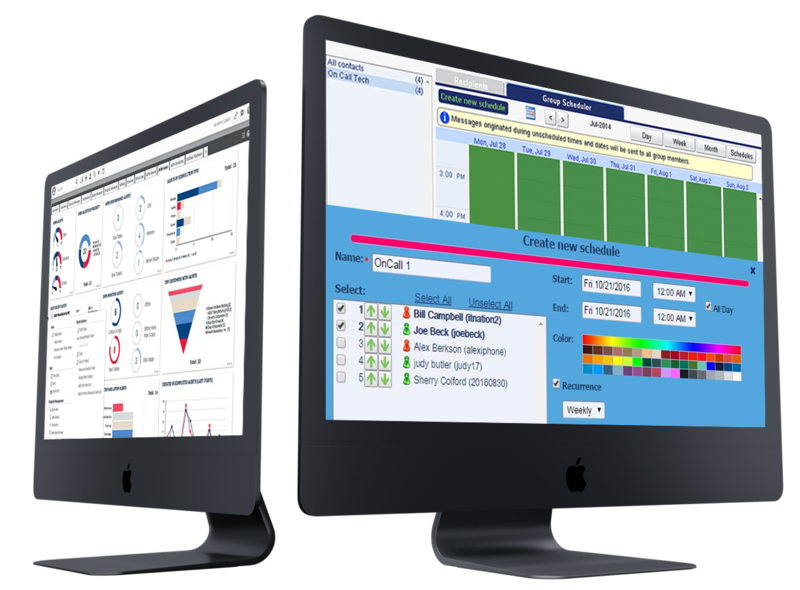 The bi-directional integration gives managers access to audit trails of every notification sent out though Autotask, providing visibility to ticket progress and ticket status in real time. The data is also of critical value for post-incident reporting and analysis. Considering adding after-hours support to your offerings? Do you deliver 24×7 support today but are looking to improve performance and streamline processes? Discover how Lehigh Valley Technology Company improved customer service by eliminating missed alerts, speeding up after-hours incident response by 300% and reducing the cost of 24×7 support, all while improving team morale. Check out the case study and improve business results for your MSP today. Open the Autotask website and log in. Hover over the Autotask logo in the upper left-hand corner of the window. From the menu that appears, select Admin > Resources (Users). On the General tab enter a name of your choosing. On the Security tab create your login credentials and set the Security Level to API User (System). Login to this console using administrator credentials. 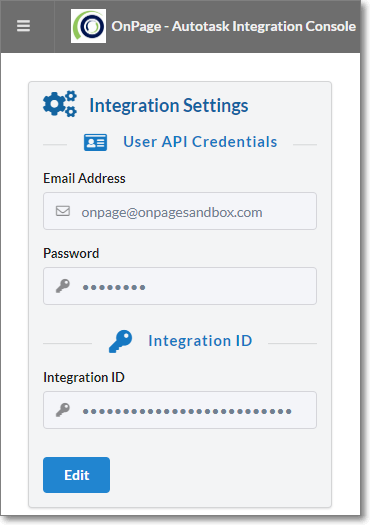 Enter credentials for created Autotaks integrator resource in step 1. Select needed recipients and groups. 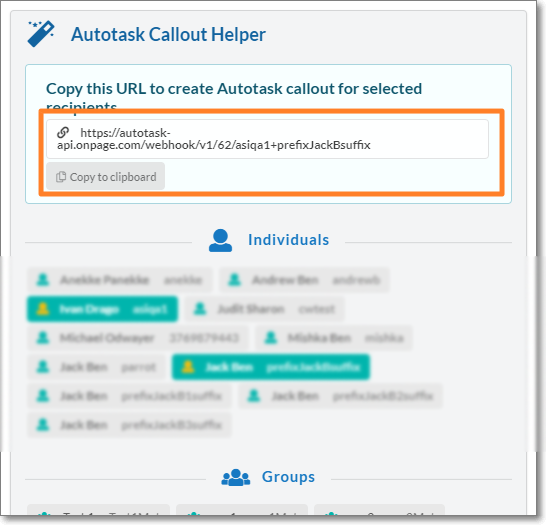 Copy URL for Autotask Callout Extension. 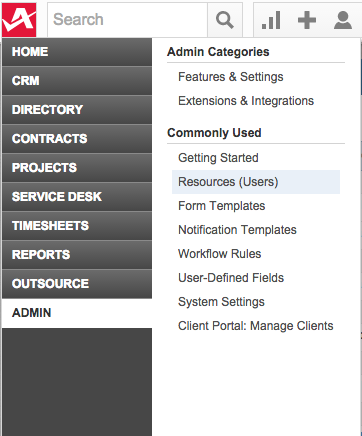 From the menu that appears, select Admin > Extensions & Integrations. Expand Other Extensions & Tools and click Extension Callouts (Tickets). Paste built URL from step 3. Select POST from the list of HTTP Transport Method. Choose Name Value Pair from the list of Data Format. From the menu that appears, select Admin > Workflow Rules. 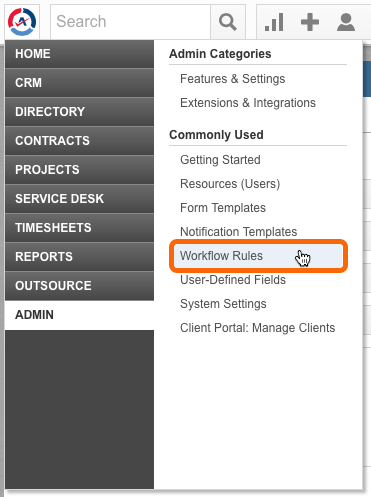 Click the New button or Edit existing workflow rule. Create needed criteria for workflow rule. In Action segment choose just created in step 4 callout extension in field Then Execute Callout Extension. 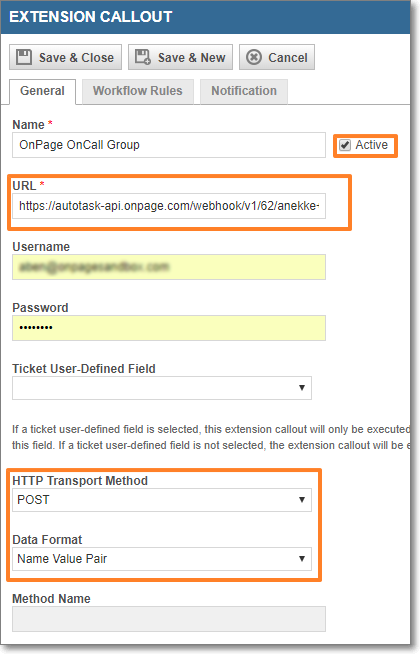 Once the ticket is created with predefined criteria the callout extension will be executed and selected OnPage users will receive OnPage alert.